TORONTO, April 3, 2019 – Avanti Computer Systems Ltd today announced the company’s sponsorship of the Graphics Canada trade show and details about its participation. The event takes place from April 11th through April 13th at The International Centre in Mississauga, Ontario. Avanti Slingshot®, the company’s award-willing flagship offering, will be on display in booth #5720 on the show floor. The acclaimed Print MIS solution provides a modular toolkit for print shops, automating the production process from estimating and ordering through shipping and invoicing. Avanti Slingshot provides the crucial data that print shop owners and executives need for real-time operations as well as strategic planning. The company’s President and CEO, Patrick Bolan, will explain the solid return on investment that print shops can expect from implementing a new Print MIS system as part of a panel entitled “Automated Workflow Systems are Key to Profits.” Graphics Canada visitors can attend the session from 10:00 to 11:00 AM on April 11th. At the Innovation Theatre, Avanti Slingshot Product Manager Josh Perkins will explain how the recently-announced integration with Enfocus Switch enables users to “Work Smarter, Not Harder.” Bi-direction communication between the two platforms provides a new level of efficiency for users of both products by eliminating the need to manually enter job ticket data. 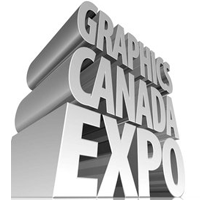 That session takes place at the Graphics Canada Innovations Theatre from 10:30 to 11:00 AM on April 11th.